PRESS RELEASE: Applications now open for secondary schools around Australia to apply for a unique entrepreneurial learning program for Year 9 and 10 students. In this exciting collaboration, AgriFutures Australia (formerly Rural Industries Research and Development Corporation) and startup.business have joined forces to deliver an exciting education program called AgriFutures™ startup.business that teaches school kids in rural and regional Australia to solve the problems facing agriculture using innovation and an entrepreneurial mindset. AgriFutures Australia will sponsor seven schools across the country to receive a $7,000 education program that will take secondary students on an immersive journey into the entrepreneurial startup scene to help solve the problems facing agriculture in Australia. The AgriFutures™ startup.business pilot program aims to show young people how the skills and mindset of entrepreneurs can allow them to create their own jobs. The Problem Based Learning (PBL) concept naturally reflects the way people learn and develop in real life. Presenting problems (not the solutions) to facilitate learning, will work in conjunction with skill development and awareness activities, presented in the form of modules. “We learn because of our curiosity, because of the challenges we face, because of the things we do … and as we learn we grow. That’s why we’ve brought together entrepreneurs and academics to design a unique program of learning,” said Jo Burston, serial entrepreneur and CEO of Phronesis Academy, the parent company of startup.business. There are currently four jobs in agriculture for every university graduate studying an agricultural-related degree (Pratley, 2017). However, there are barriers to entrepreneurship in rural and regional areas that education in entrepreneurship aims to overcome. AgriFutures™ startup.business’ unique approach enables students’ passion for, and interest in, business to be integrated into large scale solutions for local problems. “We are thrilled to launch the AgriFutures™ startup.business program with Jo and her team. A key objective of AgriFutures Australia is to attract capable people into careers in agriculture, and this program will be a wonderful tool to expose high school students to different ways of approaching national rural issues, and importantly expand their horizons in terms of what a career in agriculture could look like,” said AgriFutures Australia Managing Director, John Harvey. To be eligible for the program, schools must be a secondary public high school and offer Commerce, Agricultural Studies or Geography to Year 9 or Year 10 students. Schools must also be located in a rural or regional area, and commit to delivering the program to a minimum of one class in Term 2 and Term 3 of 2018. Applications close on Monday, 12 March 2018 at 5.00pm AEDT. 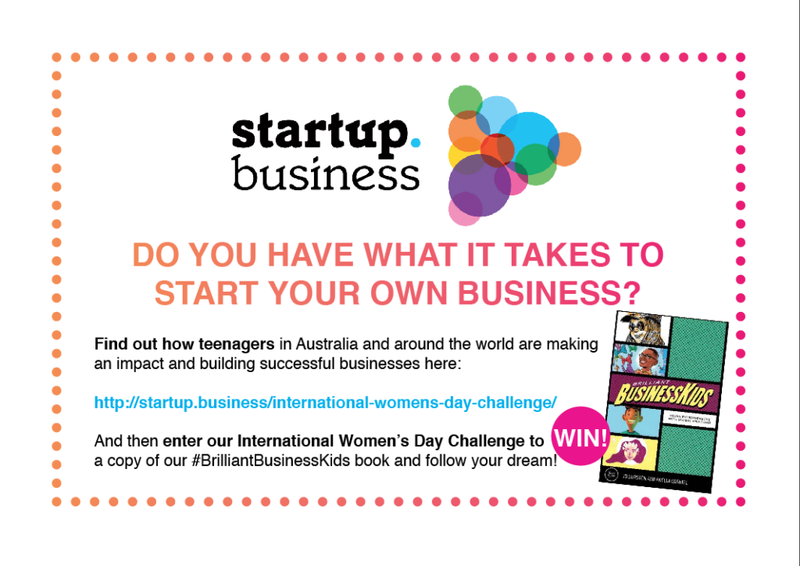 Enter your brilliant business idea here!